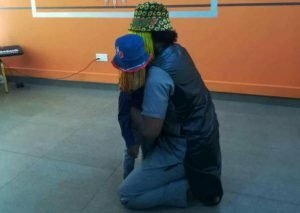 Ace Investigative journalist Anas Aremeyaw Anas was in Kumasi on Tuesday. 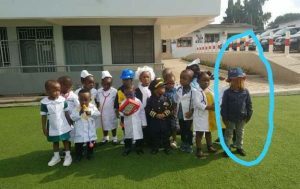 His mission, this time round was not to expose any corrupt official but to pay a surprise visit to a young girl who dressed like him on career day organized by the school.The visit comes days after a photo went viral on social media of the 3-year-old girl. 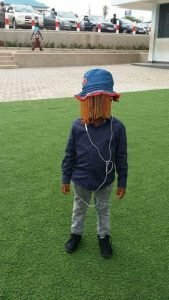 The girl, who is a pupil of Holy Trinity Lutheran School in Kumasi according to his parents wants to be like Anas in the future. 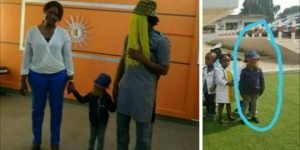 Anas and his Tiger Eye team were in the school to interact with the pupils, particularly those who aspired to become journalists, as well as their teachers. The ace investigative journalist hugged the little girl and whispered some kind words in her ears. He then gave the pupils the opportunity to ask him questions about how he does his work. As well as why he decided to do it the way he is doing it. Anas therefore took his time to respond to all the questions. He explained to them why he covers his face, which according to him is “in order to stop the bad guys” from looking for him. 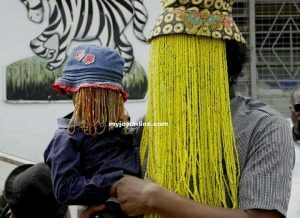 Mother of the 3-year-old girl, Afua Amponsah also explained her reason for dressing her child to look like Anas. 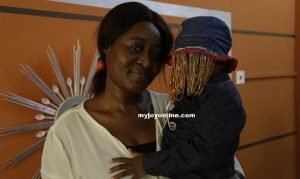 According to her, she did so in order “to show support to Anas that he is doing a good job”. Meanwhile, authorities of Holy Trinity Lutheran School were full of praise for Anas for taking time to visit the school.